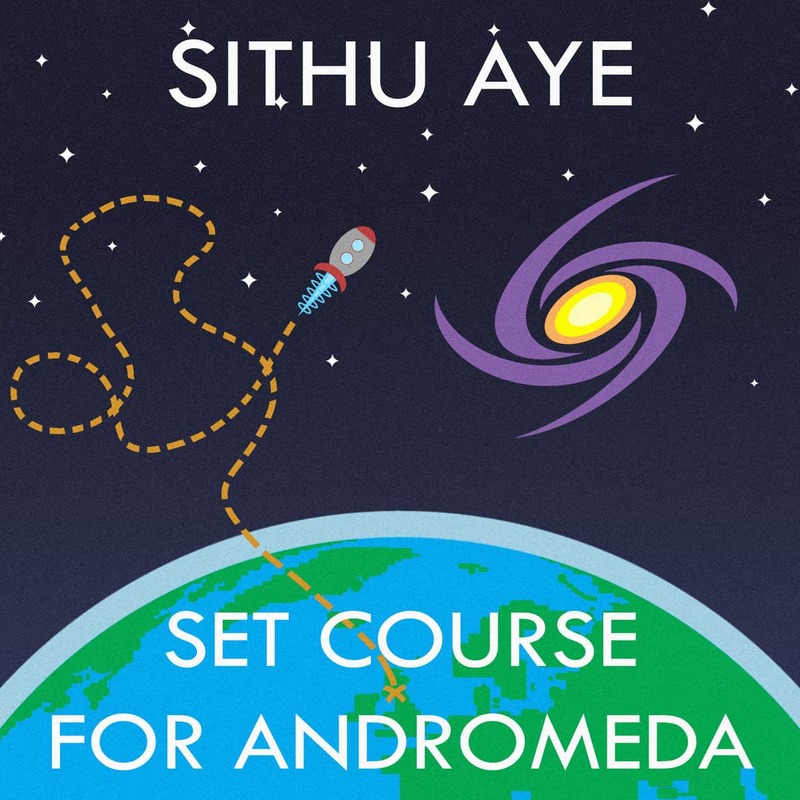 Having not heard much of Sithu Aye’s catalog aside from a couple listens of their Senpai EP last year (which I definitely need to revisit now), I didn’t really know what to expect from their new album Set Course For Andromeda. After listening to it, I now realize I should have been paying more attention to this band, because it blew me away! The album is split into two discs, the first one, is a collection of songs with no thematic tie to each other, and the second disc is a 29-minute suite about an alien Andromedan, which is being observed by the Space Cadet from disc 1. ‘Space Cadet’ sets the tone of the album with a melody that really evokes a “Space” feeling. The first time I heard it, I knew I was in for an interesting journey. Even though this album is fully instrumental, the musical themes along with the space themed track names, gives the album a lot of substance. ‘Constants and Variables’ is another great song, full of killer riffs and some djent backing guitars. This song a bit heavier and darker than the previous, but It’s still chock full of brilliant guitar solos, as well as some nice clean guitar. The piano that enters past the halfway point creates a haunting melody that really sticks with me. There’s a lot of feeling in the music. This song ends with a fade out into some feedback which cuts abruptly to the next track. ‘Spiral’ is a softer song with some jazzy piano and guitar. There’s lots of great melodies going on and even a short drum solo near the end. ‘Beyond The Boundary’ is an epic track with some great soft ambient parts in the first half. The second half kicks it up a notch and sounds almost like something off of John Petrucci’s “Suspended Animation.” The solos are top notch and the guitar tone is beautiful. Being a big fan of this style of progressive metal, this is one of my favorites on the album. Transient Transistors keeps up the momentum of the previous track, with some more great solos. About halfway through the bass takes a front seat for a nice groove, then the guitars come back as we head into the final track of disc 1, ‘…We Actually Made It To Andromeda!!!’. Disc 2’s six part suite ‘The Andromedan’ starts off with ‘A Single Step’ an orchestral song with some nice acoustic guitar and oriental guitar sounds. The first melody of this track appears throughout the suite in each separate part in different styles as the main recurring theme. The last minute has some drawn out notes that slowly fade into ‘Mystic Village.’ The keyboard in this song has a nice ‘space’ sound to it. ‘The Darkness Within’ brings the suite to a darker and heavier style, with some dissonant sounding riffs. As the song fades into ‘Rebirth’ it grows more epic and grandiose. The track then gets softer and becomes very melodic and bright sounding. This is my favorite part of the suite. The song then becomes heavy again as an impressive solo leads into an arpeggio as the final part ‘Mother of Creation’ begins. The oriental style from ‘A Single Step’ plays the main theme again. The theme intensifies, building up to the climactic ending. Both discs of this album are fantastic, and get better with each listen. For an Instrumental album, Set Course For Andromeda is full of substance, without a need for vocals. 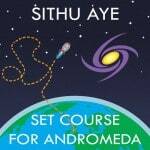 If the rest of Sithu Aye’s discography is close to the level of quality of this album, then I’m in for a treat. Do yourself a favor and do not pass this one by.